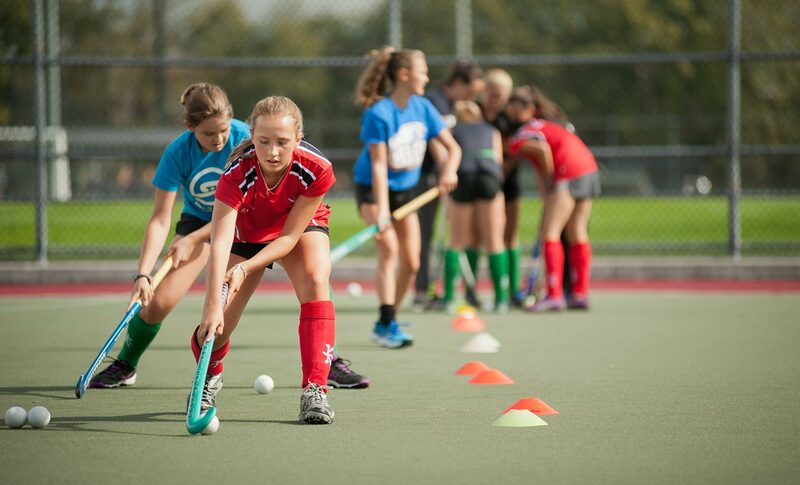 The Premier Field Hockey Academy is another example of West Vancouver Schools’ commitment to facilitating increased access to athlete development through pathways in education. Sport is a viable pathway to meet numerous educational, societal, and personal objectives. Field hockey is the second largest team sport in the world, played in 100 countries. The sport offers a lifetime of sporting and social opportunities for students. BC is the most active field hockey province in Canada. Both the men’s and women’s National teams are based in BC. Through a partnership with the West Vancouver Field Hockey Club (WVFHC), student-athletes now have the opportunity to experience the challenges and rewards of the exciting sport of Field Hockey. The program is open to student-athletes of all skill levels with the intention of providing the best possible field hockey experience. All development training sessions take place during the school day. This program offers young Field Hockey players the opportunity to complete their academic requirements in the mornings and participate in Field Hockey development training in the afternoons, every second day, all during schools hours. The Premier Field Hockey Academy is a choice program offered to students who are registered full time at any one of our three secondary schools: Rockridge, École Sentinel or West Vancouver Secondary. Students registered full time in schools out-of-district will be accommodated pending availability. Tuition: to be discussed at the Information Session. Students selected to participate in the West Vancouver School’s Premier Academy must provide (scan) a copy of the most recent report card that indicates very good progress in academic subject areas, as well as evidence of socially responsible behaviour, an excellent work ethic, and an overall positive attitude. The Premier Academy is a wonderful program for the student who wants to develop his potential as a high performance athlete or just for the student who simply wants to learn and enjoy playing the game. Students registered full time at West Vancouver Secondary, École Sentinel or Rockridge Secondary have the opportunity to pursue their interest in playing Field Hockey while continuing to receive an excellent education. Out-of-district students will be accommodated pending availability. Canada excels to be among the top nations in the sport of Field Hockey, making our athletes a source of national pride. So for the ‘Field Hockey passionate’ student, we offer this very unique and quality program to assist student-athletes along a very exciting pathway. Students interested in the Premier Field Hockey Academy must submit the Student Information Form.